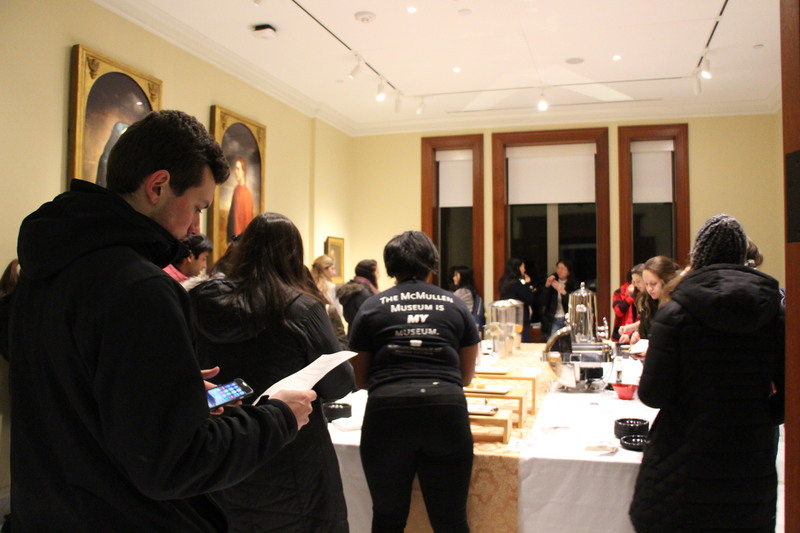 Over four hundred students gathered at the McMullen Museum on Friday, February 2nd, to celebrate the student opening of our spring exhibition Cao Jun: Hymns to Nature despite the frosty, biting cold. 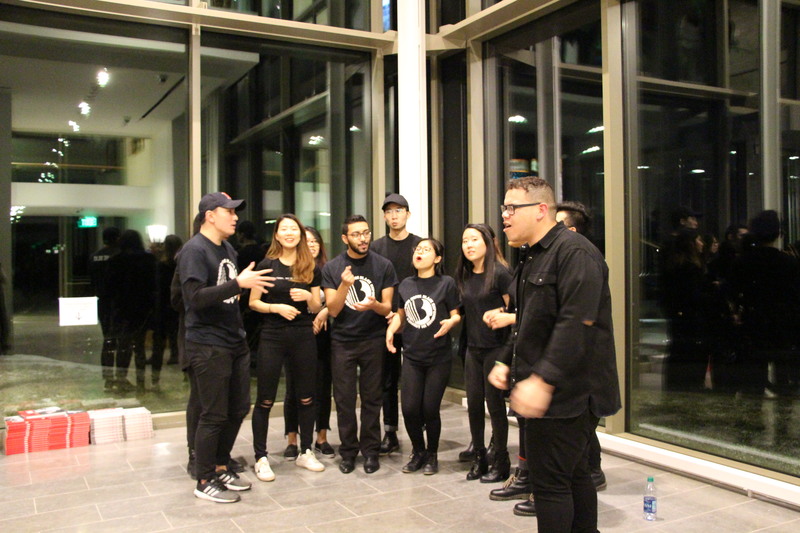 The steaming-hot buns, spring rolls, ginger cheesecakes, and the joyful singing of the three acapella groups brought warmth to all those who came. 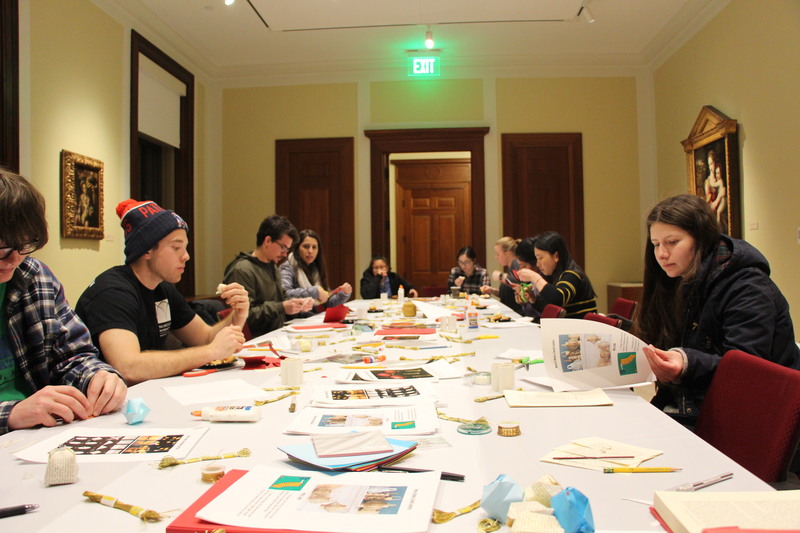 In anticipation of the Chinese Lunar New Year on February 16, the first floor featured stations dedicated to making paper lanterns and Chinese chops, or stamps. Chops, similar to a seal in Chinese culture, bear the signature of the artist and are an integral part of painting; you will find Cao Jun’s chop on every single one of his ink-and-water paintings in the galleries. Lanterns, on the other hand, herald the festivity of the upcoming year of dog. 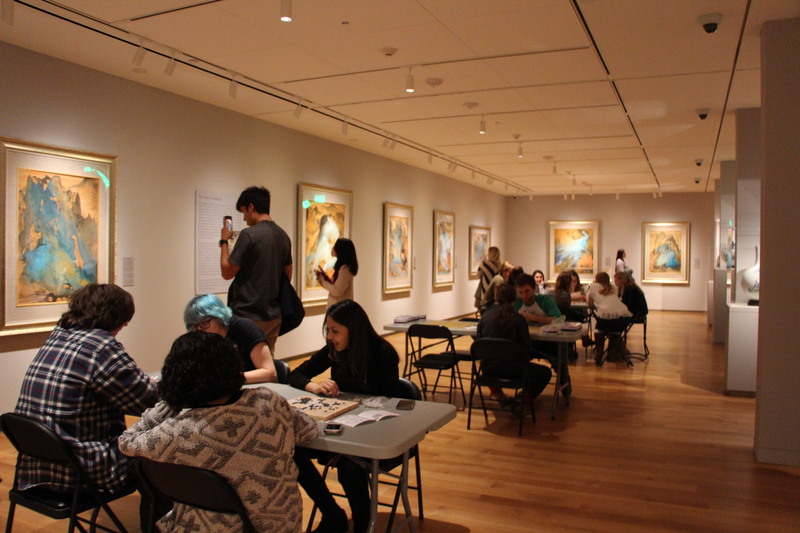 Inside the second floor gallery, students roamed in wonder of the mesmerizing colors of Cao Jun’s paintings and played Go and Mahjong, two board games of ancient Chinese origin. 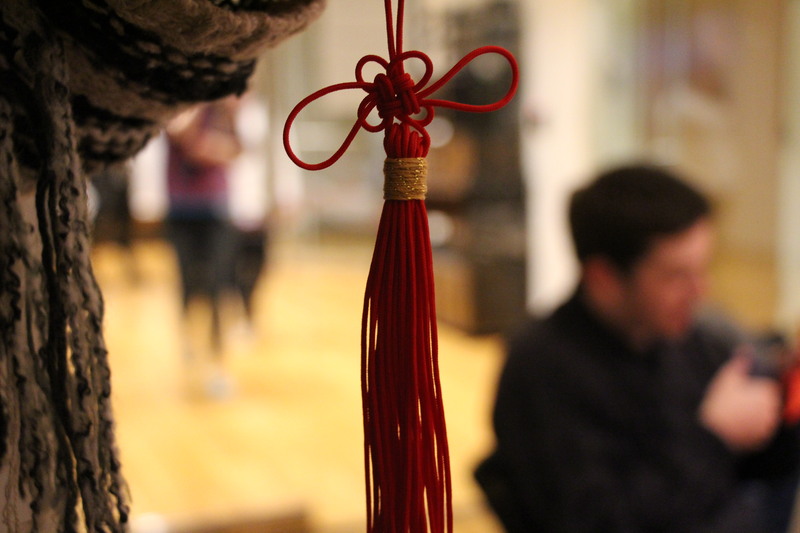 A station for Chinese fortune-telling sticks greeted students on the third floor, as well as paper-cutting and New Year knot-making with movies in the conference room. 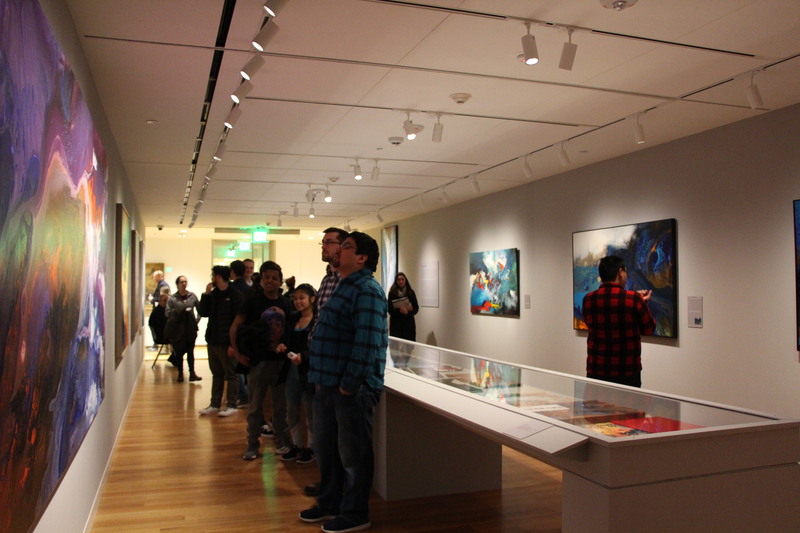 Students imbibed not only the skillfulness and beauty of Cao Jun’s art sitting in our galleries, but also the Chinese culture behind his wondrous creations, all in time for the Lunar New Year. Throughout the night, three BC acapella groups – the Sharps, the Common Tones and the B.E.A.T.S. – performed in the atrium and serenaded the lively ambiance of our museum. We are grateful for their performances and hope we can gather together for more nights like this. 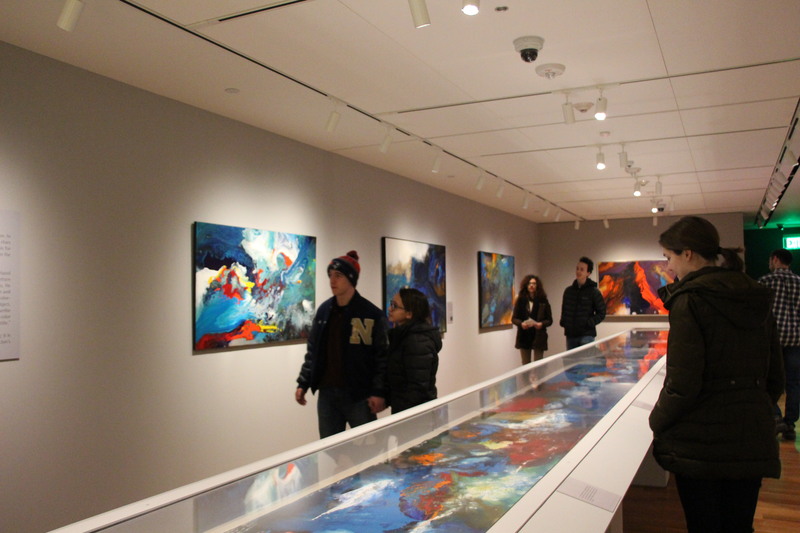 The Cao Jun exhibition is open everyday. Bring your friends for a visit and follow us on Facebook or Instagram (@theMcMullen) for more event updates!